Things always seem to be a little different in Bayou Country. You know, we say “rodier;” y’all say “wander.” We say “Drive Thru Daiquiri Shop;” y’all say “How’s that legal?” Did you know, though, even Christmas in Bayou Country comes with its own quirks? For example, Papa Noël visits our houses instead of Santa Claus. 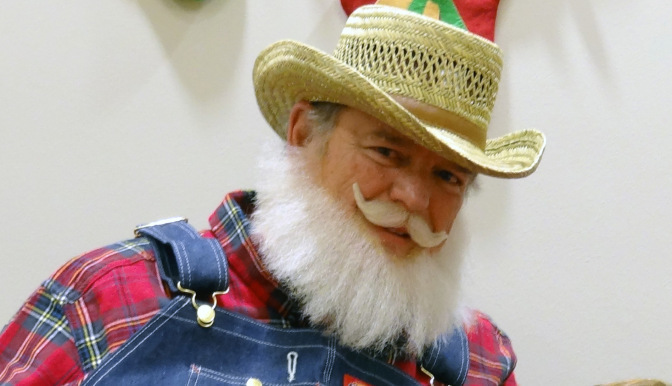 We at Houma Travel were lucky enough to lock in an exclusive, one-on-one interview with Monsieur Noël himself to help you get a better look at a Bayou Country Christmas. Houma Travel: Thanks so much for taking the time to talk to us today, Mr. Noël…. Papa Noël…. Papa Noël: You can just call me Papa. Houma Travel: Alright, Papa. We were hoping we could start with a very basic question. Why two names, Papa Noël and Santa Claus. Papa Noël: That’s an easy one. I have Many names. Depending on where I am in the world, I’m called Santa Claus, Father Christmas, Weihnachtsmann, Dun Che Lao Ren…. In south Louisiana, though, those Cajuns spoke French, so they called me Papa Noël. 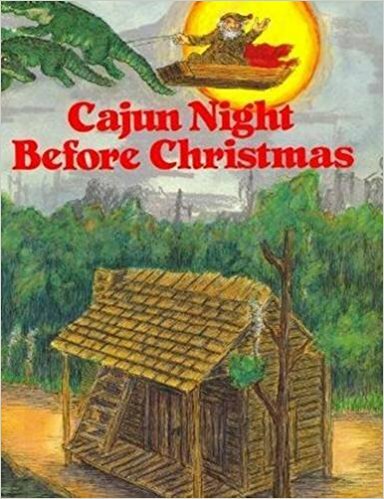 Houma Travel: According to our source material, A Cajun Night Before Christmas, you navigate the Louisiana swamps using a pirogue and eight alligators. How did that come to be? Papa Noël: Well, I have to hand that one to the Cajuns and the Native People of Louisiana. They taught me that you have to use what you have and make things work. What do I have in the swamps of Louisiana? Plenty of cypress trees to dig out a small boat, like a pirogue, and some gators. Houma Travel: And you have names for your gators? Papa Noël: Mais, of course. I can’t just call them “Hey you.” These aren’t just any gators, though. These are special gators. I had to search all over the swamps, even at the Greenwood Gator Farm, to find just the right ones to pull my boat. You know, I have to move fast to reach all those good little Louisiana children, so I needed the best. Houma Travel: We see that you don’t wear your traditional red suit here. Why is that? Papa Noël: Lots of reasons. One, it doesn’t always get cold for Christmas in Louisiana and that suit can be Hot! Too, I learned that Louisiana kids are quick, yeah. That red suit really stood out, so I needed something to blend in a little better. Houma Travel: Finally, Papa, what’s your favorite thing about Christmas in Bayou Country? Houma Travel: Well, thanks again for taking some time to talk to us today, Papa. Papa Noël: And thanks for having me. I’m so glad you’ve been good this year. It was hard making that new camera you want, but it’s worth it. Houma Travel: How did you know…. Papa Noël: I’ve got to run. 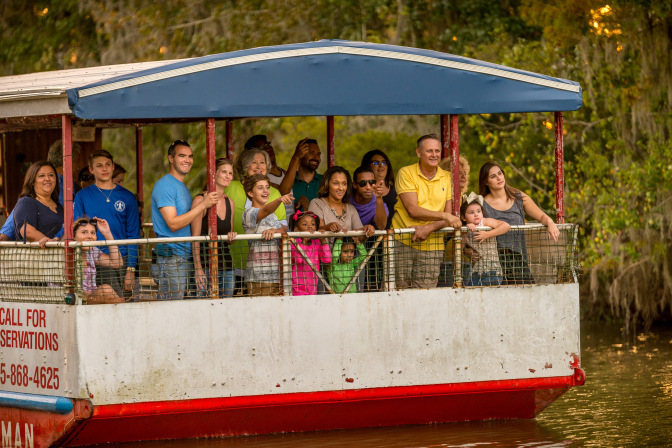 That pirogue doesn’t fill itself with toys. Merry Christmas to all, till I see y’all come more! Thus concludes our interview with the man himself, Papa Noël. Want to know more? Be sure to consider Houma for the Holidays. All our best and Merry Christmas from all of us at Houma Travel!